Thank you to everyone who made 2018 such a success. If you would like to attend next year's conference please provide details below to confirm your interest and we will contact you as soon as tickets become available. Have you attended a previous Talk to Your Baby? If so, which year(s) did you attend? The Talk To Your Baby 2019 conference will be taking place on 21 January in Manchester. 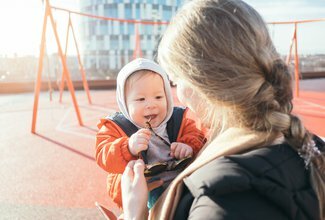 Early Words Together helps parents support their young child’s literacy and language development.